The XT Wings shoe was completely revised and improved. It easier and seamless upper construction was inserted, which significantly improves the comfort. Also, the midsole has been improved and now gives an even better damping. 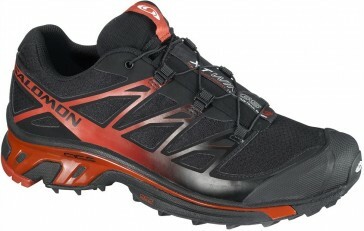 The Salomon XT Wings Men's shoe is flexible and has better grip and traction. This design consists of a balanced and matched to the individual needs of specific types of rubber combination. This ensures optimum adhesion to unterschliedlichem underground and gives the shoe a total of more grip. This special footbed is made of foam and an EVA heel cup. This combination results in an optimal cushioning and cooling and the feet dry. There is also this footbed made ? ?from recycled tire rubber to protect the environment.